When working on client sites I ran into situations where a series of smaller images on a page needed to link to other pages. 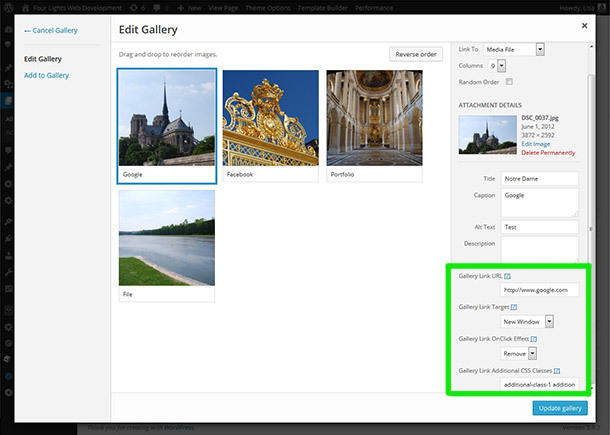 Using WordPress core image gallery functionality seemed like a simple way to handle this, but WordPress only allowed the gallery images to link to the attachment post or the raw file itself. I created a plugin to allow a third option: a custom link. 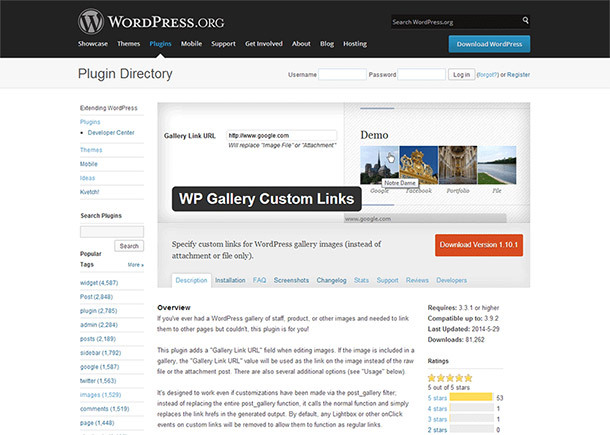 This plugin has been added to the wordpress.org plugin directory as a free plugin and currently has over 80,000 active installs. Due to time constraints, it has since been taken over by another developer. Copyright © 2019 Four Lights Web Development, LLC. All Rights Reserved.